Connect your users to a Stream of information. Go to the Apple iTunes store right now and search, "Dining" and your "city". Nothing comes up, until now. 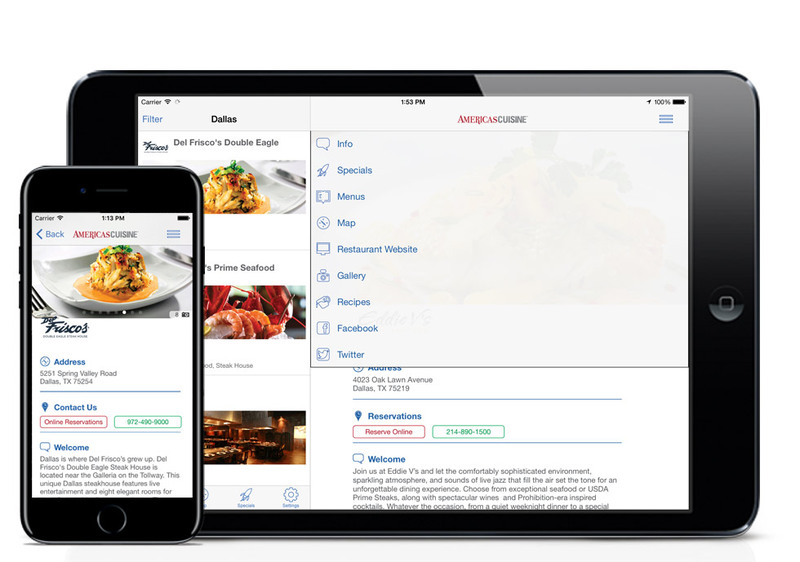 Introducing the first app that fills each city's lack of a one source dining information app. Developed for locals and tourists alike. Here at AmericasCuisine we have been hard at work on a way to simplify the way guests get information on specials and events restaurants have. AC Stream has been months of development in the works and is finally ready for release. them in one simple place for users to view. A huge benefit for Facebook pages over 2,000 users who currently are reaching only 10% of their fans. We grab all your posts and distribute it to thousands of users on AmericasCuisine.com and on the city specific app.